This low maintenance, stucco sided home built in 2005 is situated on a wooded, level lot, only a few blocks from Monte Verde Lake. 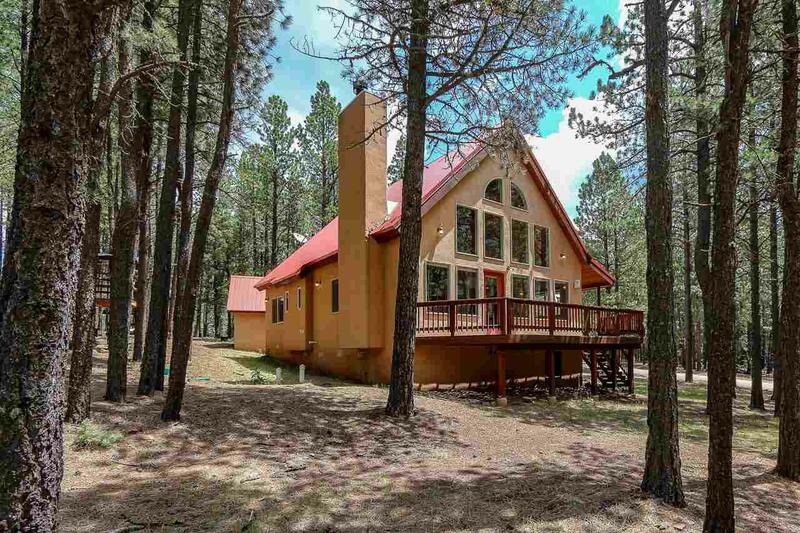 It has a large front deck, covered tree stand and a detached one car garage. 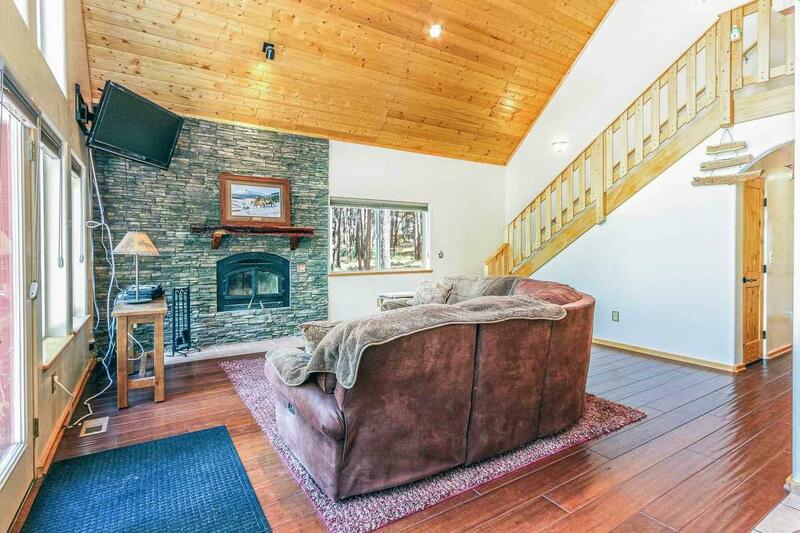 Inside youll find an open concept great room with vaulted tongue and groove wood ceilings, hardwood flooring, a large window wall and a stunning stacked stone fireplace. The kitchen features wood cabinets, tile flooring and countertops with a travertine tile backsplash. On the main floor youll also find two guest bedrooms and a full bathroom. 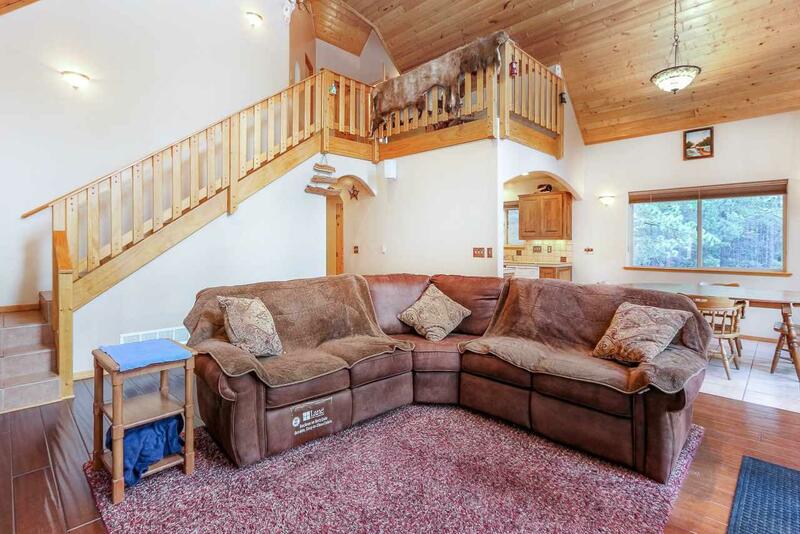 Upstairs features a loft with sitting area and the master bedroom with private deck and ensuite bath. All bathrooms have tile flooring, countertops and bath surround. 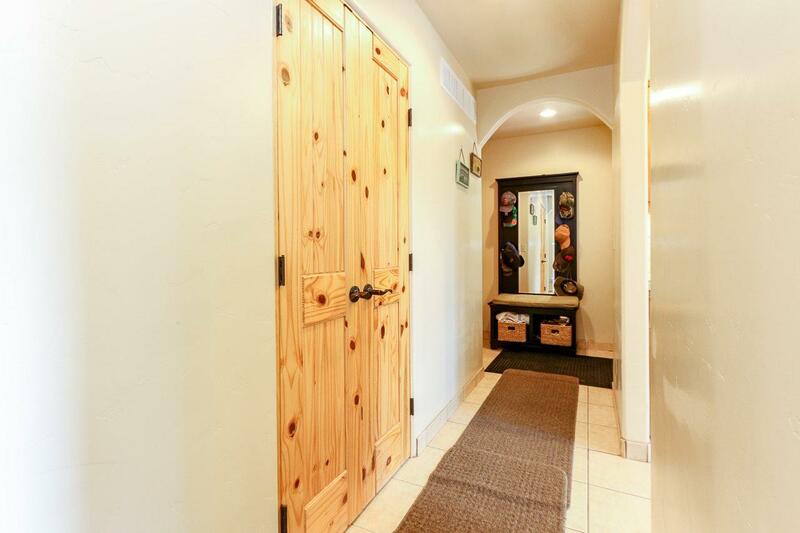 The home also has solid knotty pine wood doors throughout, adding a nice rustic feel. Well maintained, fully furnished, and move in ready for the next family to enjoy. Call us to take a tour!